~ Founder and executive director of Vets360.org ~ A veteran himself, Rick's mission is to help our new generation of returning combat veterans re-acclimatize to the society and freedom that they have been protecting. In this episode, set to release on tuesday 10/20, Rick speaks candidly about the need to remove the stigma of PTS(d), Carrying the Challenge, and Breaking Silence. Embodying the spirit of veterans helping their brethren, Rick is forthright and inspiring about the mission of Vets360.org. We are used to hearing about the rates of Post traumatic Stress in our military veterans, but when we look across the board at the numbers of people in other high stress work environments, the numbers are not so different. 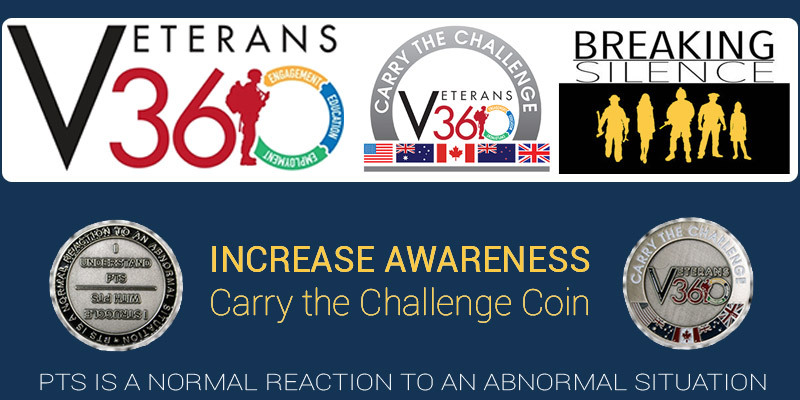 Veterans: Reports range from 20-31% of veterans from our current wars are being diagnosed with Post traumatic Stress Disorder (PTSD). Nurses: In a 2010 study of 332 nurses, they found that 22% had symptoms of PTSD and 18% met the full diagnostic criteria for it. Firefighters: In studies done on firefighters, 7-37% are estimated to be diagnosed with PTSD. *We have a few guests coming up in future episodes who believe from their experience working in the departments that these numbers are terribly under-reported. Teachers: We don’t have much by way of numbers on this population, but more and more teachers are reporting symptoms of Post Traumatic Stress given the current climate of school shootings taking place (see Episode 18 here). 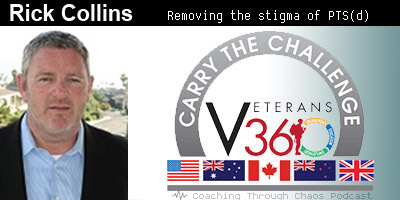 Rick Collins and his team at Vets360 working to erase the reputation our troops get when they show signs of Post Traumatic Stress. Rick was inspired to start Vets 360 after 2 young marines he knew killed themselves. He believes that if we can give our troops the tools to reintegrate, there will be less distress for them during the process, thus allowing them to also get the help for dealing with the traumatic stress that they may need. 1049 Camino Del Mar, Unit F.
Irrelationship – Are you in one?